This month, the Athletics community in Northern Ireland welcomes a new club to the scene, with the establishment of Magherafelt Harriers as an Athletics NI affiliated club. After an initial meeting was held in Bryson’s Bar, Magherafelt on 12th March 2013 the founding members committed to establishing a new club under the auspices of Athletics Northern Ireland. Under the guidance and advice of the provinces governing body, Magherafelt Harriers completed the necessary process to become an affiliated club. The Club colours are Black and Red, this includes a Red and Black vest, sporting the club’s official logo and black shorts. recognising that we are involved in a hobby and participate in sport for enjoyment. After the initial development work was undertaken, Magherafelt Harriers held an open night, generously hosted by Simplicity Restaurant. This attracted a crowd of about forty runners which convinced the founding members that they were on the right path. Runners completed the necessary application forms on the night and many paid the associated membership fee. After such a successful open night, Kevin said that he was “confident that the membership will continue to grow”; especially because of the positive media interest. Magherafelt Harriers welcomes runners of all abilities and they boast a membership of experienced runners who are keen to guide and motivate others. Club Chairman Kevin Murphy has represented Northern Ireland on the Track and over Cross Country. He has also taken part in the European Triathlon Championships. Vice Chairman, Alvin Taylor is a well known competitive runner and regularly features in the veteran category prize-lists, while Club Treasurer John Joe Muldoon, a member of the famous Muldoon sporting clan, has raced in places as far away as New Zealand. Secretary, Rodney Young is also an experienced runner and has represented Ireland in the World Duathlon Championships. Paul McErlain is a regular competitor and leads the annual expedition to the Dublin Marathon. Presently, Paul can be seen pounding the pavements at all hours in preparation for a Double Ironman which will include a 52 mile run. Francis Stewart is one of the most improved runners in the local area. Having started with a 4h 45mins Marathon in Rome, he is now crossing the finish in sub 3h 14mins. An inspirational runner, Francis is keen to progress into coaching and will participate in courses offered by Athletics Northern Ireland. The Club has a number of runners who take part in a variety of races across Ireland and abroad. Just last weekend (21st April 2013), Niall Higgins and Darren Church represented Magherafelt Harriers at the Virgin London Marathon. 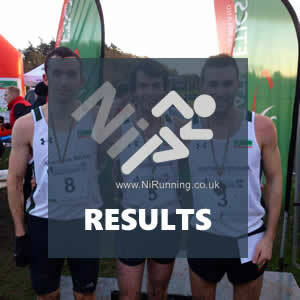 Niall clocked 2:56:42, while Darren crossed the line in 2:59:03. 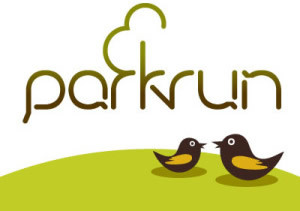 The new club will have an active ladies section, including local runners Karen O’Kane and Jane Higgins. Keen to promote this, Kevin Murphy pointed out that “this is a key area where we see opportunities for immediate action.” Another aspect important to the Club’s ethos, is regular trips to races and events, this will include the Dublin Marathon, London Marathon, Great North Run and Edinburgh Rock ‘n’ Roll Half Marathon. In the past, club members have ran in Barcelona, Rome and Torremolinos and they hope that similar trips will be planned in the future. When asked about race promotion ideas and plans, Kevin added “the Club is in the process of organising a series of 5k races in the scenic setting of Lough Fea. The entry fee will be £3 and the first race kicks off at 7.00 pm on Tuesday 30th April 2013. These will be timed races, offering those new to the sport an opportunity to try a race in a friendly environment. In the future other local forest trails will be incorporated into our racing programme. 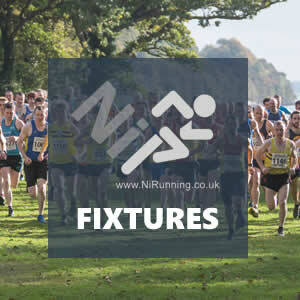 In the medium term the Club will organize a road race under the auspices of Athletics Northern Ireland.” Another thing the Club Committee are keen to do is forge strong relationships with other Running Clubs. Over the coming months club members will be representing Magherafelt Harriers at the Lavey 10k, Maghera 10K, Ballymena 5m Road Race, Jude Gallagher ‘Round the Bridges’ 10m Road Race. The Rainey Rugby Club has also offered the use of their facilities as a meeting point for Magherafelt Harriers, for which the Committee are grateful. For anyone interested in joining Magherafelt Harriers, training takes place at 6.30pm on a Tuesday and Thursday night and at 8.30am on a Sunday morning, meeting at the Rainey Rugby Club. To communicate with the increasing membership the Club will set up Facebook & Twitter accounts to provide regular updates. As soon as these accounts are active, NiRunning will of course promote them via our own Facebook (NiRunning) and Twitter (@NiRunning) accounts.